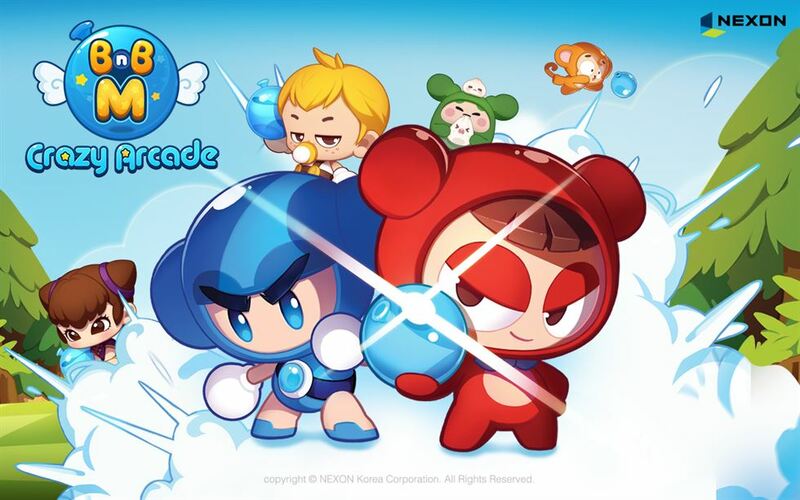 Nexon will release 10 new mobile games covering a wide variety of genres from casual to massively multiplayer online role-playing games (MMORPG) within the first half of the year in an effort to secure users of all ages and both sexes, the firm said Tuesday. The nation's leading game developer and publisher unveiled the plan during a media conference in Seoul, announcing "Crazy Arcade BnB M" among the lineup, will be released to the global market on March 21. "We are preparing various games that will prove Nexon's competitiveness," said Kim Hyun in charge of domestic business at Nexon. The game is a mobile version of "Crazy Arcade BnB" which has been a favorite of gamers globally for the last 18 years. The firm said it added a variety of costumes and accessories to the mobile version so users can enjoy dressing up their characters. The mobile game will also operate a social system to enable users to communicate with gamers worldwide, the company said, noting that the game will support eight languages including Korean, English, Chinese, Vietnamese and Portuguese. The company said 2 million users have already preregistered for the mobile version. "LYN: The Lightbringer," a role-playing game with various collectable heroes, and "Traha," a large-scale mobile MMORPG, will be released Thursday and April 18, respectively, the firm said. Nexon said it will, moreover, release mobile MMORPG "Maple Story M" and clicker game "Godzilla Defense Force" in April and May, respectively. Other new games to be released include "The Kingdom of the Winds: Yeon," a mobile game developed based on the firm's classic game "The Kingdom of the Winds," an MMORPG released in 1996. The mobile version will hit the domestic market within the first half of the year, the firm said, without disclosing the details of the schedule. Other role-playing games such as "Magia Charma Saga" and "Sinoalice" will be also released this summer globally, the firm said. Nexon added it is preparing for the global launch of mobile games that have already become popular in the Korean market, including "Durango: Wild Land." The game will hit the global market this summer, excluding China and Japan.